Whatever kind of move you have in mind, we can handle it! 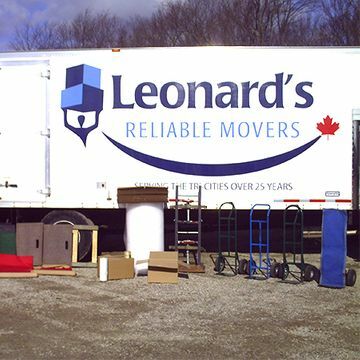 Leonard’s Reliable Movers in Guelph takes the hassle out of your corporate relocation or small office move, or we can quickly and easily move you into your new apartment, home or condominium, anywhere in the province. As a business, our goal is to be as environmentally friendly as possible. 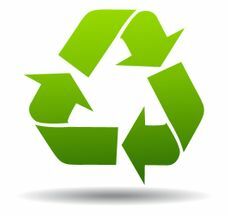 That’s why we use “green” moving items like plastic bins, moving cartons, recycled non-bleach packing paper and more. That way, after each move, we’re not throwing away cardboard moving boxes that have a negative impact on the environment. For more information or to book your move, contact Leonard’s Reliable Movers today. Call the professionals at Leonard’s Reliable Movers for all your moving and storage needs. We provide individualized packing and moving services for every customer and every member of our team exhibits care and concern for the safety and integrity of your possessions. Our top quality service begins with your initial inquiry and we offer a free in-home consultation for larger, more involved moves. Typically, we can book most moves over the phone as one of our certified moving specialists will gather some basic information to confirm your needs and then we will devise a plan of action to accomplish your goal. You can also use our Get a Quote feature to get more information about your move. For more information, contact Leonard’s Reliable Movers today. Take advantage of our packing and unpacking services, as well as our wide selection of moving supplies. 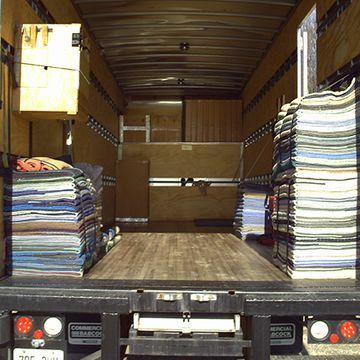 We can accomplish your move in a timely manner and at a competitive price. 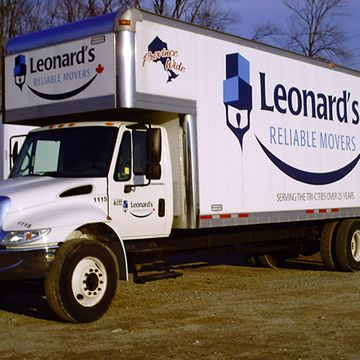 Contact the experts at Leonard’s Reliable Movers to learn more or to schedule a free estimate.